Ibossim, dedicated to the Egyptian god of dance and music, Bes, is what the earliest settlers, the Phoenicians in 654 BC, named the island. What a premonition!!. Carthaginians, Romans, Vandals, Byzantines, Moors,Crusaders followed and finally in 1275 it fell into the hands of the crown of Aragon and ever since has remained Spanish. It is part of the mediterranean islands called the Balearics. This very rich and diverse heritage exerted strong influences on the people and culture of Ibiza and have contributed to the open,tolerant and hospitable nature of its people and to that special magic the island emanates. Today the island is home to 150,000 people,locals and foreigners from all walks of life and is well know for its laissez faire, laid back approach and friendly nature. The population often triples over the summer months. 200 km of coastline, over 50 beaches and coves, pristine waters and very diverse morphology spread over 570 km2 offer visitors unique and different choices within short distances. The islands airport is very well connected throughout the season and is also accessible from the peninsula by sea. Ibiza’s roots, though the god of Bes, are omnipresent, as every season the island becomes the worlds gravitational epicenter of dance and music. The most talented DJ’s and many musicians and artists congregate here at some of the best clubs in the world. The party season opens at the end of May and closes early October with over 1000 events offering a mesmerizing choice of music all across the sound spectrum. The island also offers a ample choice of sports, there are over 800 kilometers of bike trails, endless trekking routes, midnight horseback riding, spectacular runs, challenging roa d cycling and vertiginous cliff jumping to name a few. And of course all the water sports such as is sailing, diving and kayaking. There are over 800 restaurants with rich and diverse cuisines, where choices are limitless from the local excellent fish and rices served at beach shacks in hidden coves to the recently acclaimed most expensive meal in the world. Whether you choice is Peruvian ceviche, Japanese sushi, French oysters or a simple local salad with char grilled sardines, you will find it on the island and usually the food is excellent and service is second to none. Need to detox, cleanse the body, soul and spirit or simply explore your inner self? Here you will find what you are looking for. They are innumerable workshops, sessions and courses covering a very wide and diverse span and lead by some of the most innovative and recognized in their fields and together the islands special energies make it a unique place to practice and search. In essence. this mystical and unique island offers almost everything to almost anybody and as long there is respect for the island, its ways, its people and its visitors, it will be an memorable stay. Enjoy! The island is very much divided into 4 very different areas. The North is the quieter part of the island. The main village is San Joan. It is very lush and green and relatively mountainous. 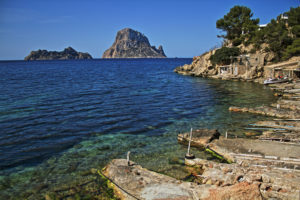 A haven, less than30 minutes from the madding crowds and attracting a slightly older but cosmopolitan crowd seeking a more spiritual connection with Ibiza. 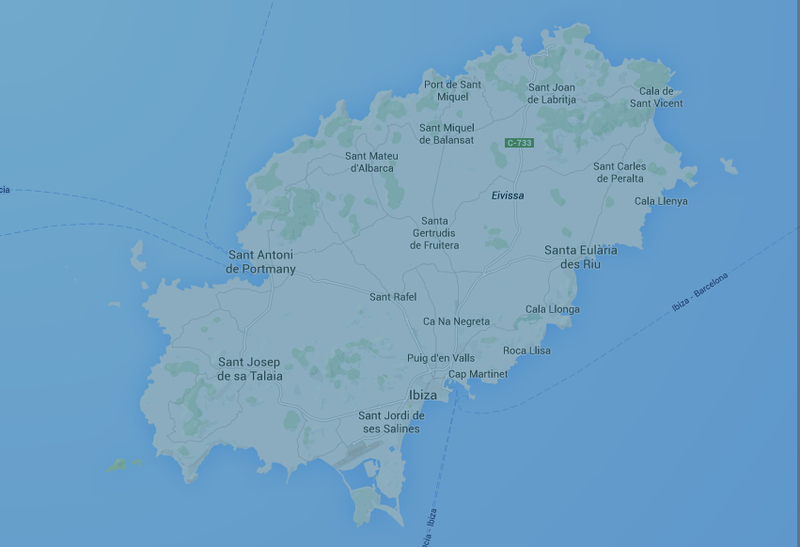 The east of Ibiza is pivotal around Santa Eularia the 2nd largest town on the island. It is more family centric and caters for quieter type of tourism. The council are adamant about protecting the area from massive exploitation and looking after the quality of entertainment and leisure. A bit north of San Antonio heading toward Santa Agnes is a very different picture with rich red fertile soil set in rolling fields and quiet country lanes and secluded beaches. 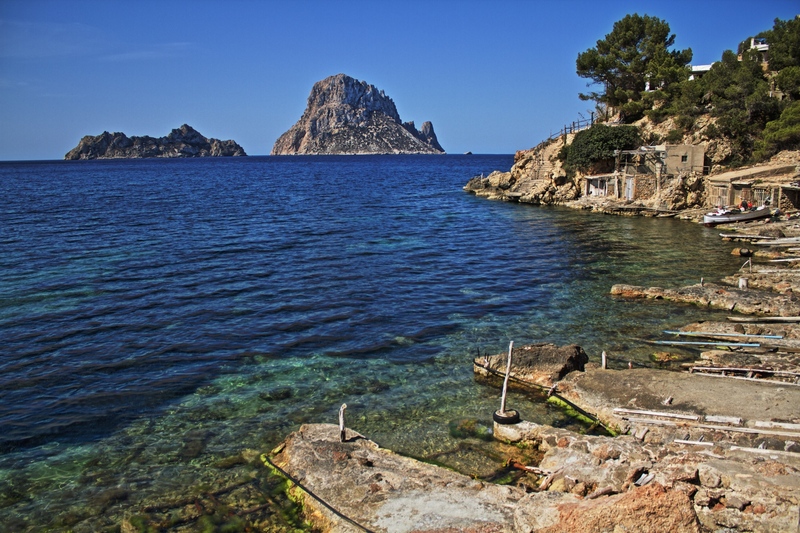 The Town of Ibiza sits in the south, as do the ferries to Formentera, and the main clubs on the island. The south is in your face,very busy, very mixed and attracts, from teenage clubbers in neon tee shirts trawling Playa Den Bossa to oligarchs in gin palaces loudly mooring in the Marina Nueva. 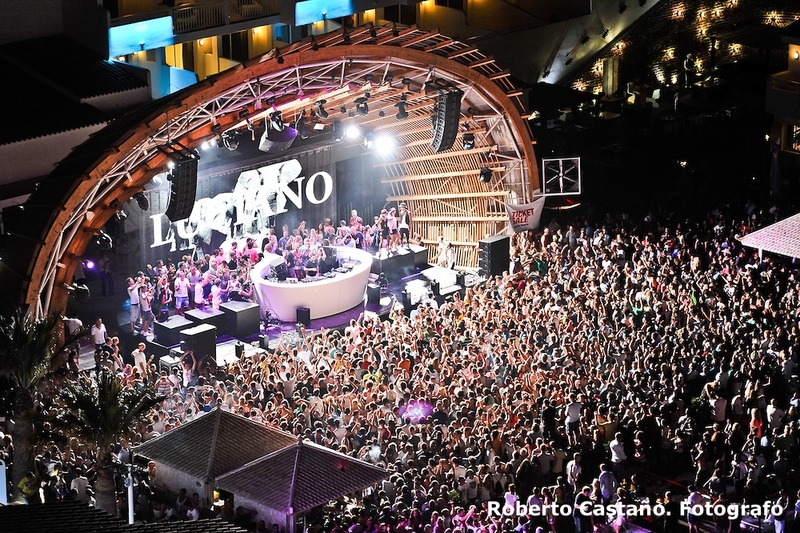 The strip at Playa den Bossa attracts the younger set with its iconic clubs and infinite beach bars, while the Paseo Maritimo near the marinas area hosts a mostly older crowd with upmarket restaurants and the islands flagship Club. The south enjoys some of the trendiest beaches of the island.